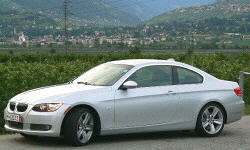 BMW 3-Series Insurance Cost Pros and Cons | Page 1 of 1 | Why Not This Car? What drives people to buy (or not buy) a certain car? 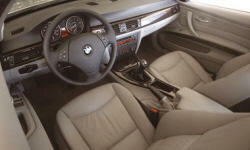 TrueDelta's members share BMW 3-Series pros and cons based on their real-world driving experiences. Insurance is expensive in an E46, no matter your claim history; partly because the insurance companies ascribe a higher-than-average rate of accidents to these cars, but mostly because body work on these cars is hilariously expensive. insurance is big $ and the car is going to lose a good amount when I sell/trade it in. 3k/yr depreciation is looking more like 4-5k in the first few years. Insurance costs were noticeably higher than the Acura. The value drops quickly and I would only consider a CPO vehicle. The price of insurance. My insurance went up about 25% when I purchased this car (I previously owned a late model Nissan Xterra). Depreciation is not a huge issue, though, as 3-Series hold their resale value very well. insurance cost is higher than for our other cars.